You also have the luxury of access to the beautiful Oasis Clubhouse that offers several amenities to you as a guest. 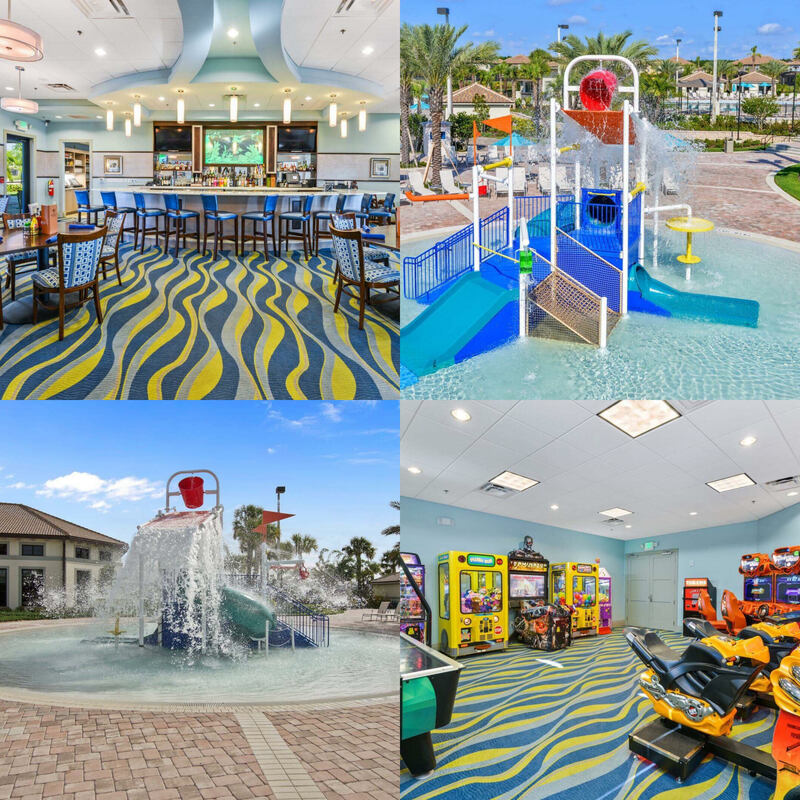 Large outdoor pools, lazy river, indoor arcade, swim up bar and more! Disney Retreat vacation rental home is spacious and full of all the amenities you need to have the best vacation. If you’re looking for something for a large family or group then this is the vacation rental home for you. Two king bedrooms, two queen bedrooms and three twin bedrooms, with two twin beds in each allow you to vacation with up to 16 people. The large family room and upstairs loft area and game room ensures there is space for everyone. 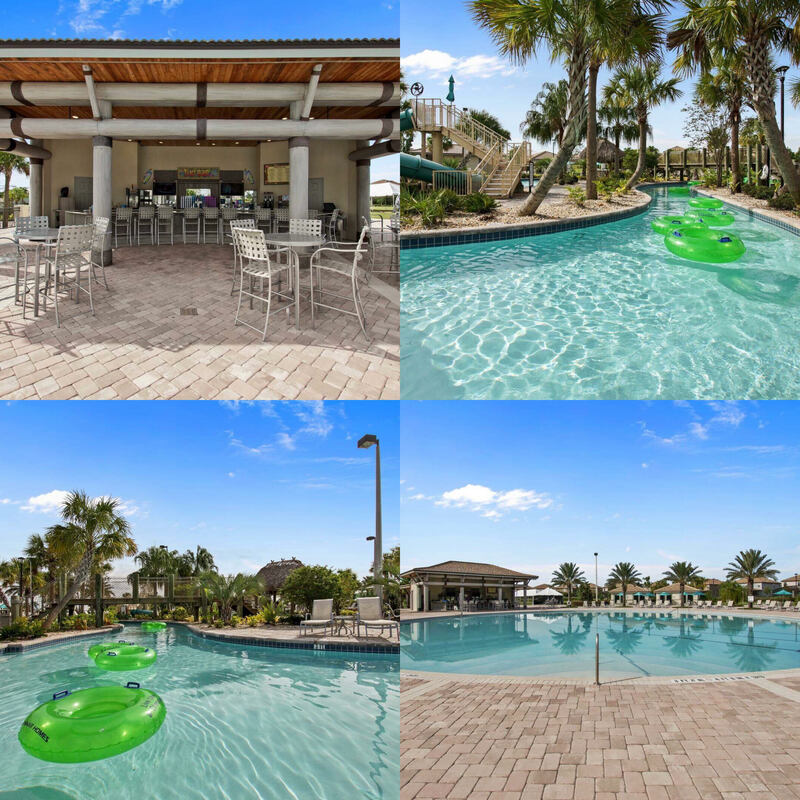 No vacation home is complete without its very own private pool and spa, to make this feature stand out from the rest you will find plenty of patio furniture to accommodate everyone in the sun or shade of the covered lanai. I and a group of friends rented this home for a 4-day event at the convention center. We were able to arrive before the event started and it was easy to add early check-in when we realized it fit our schedule better the day before. 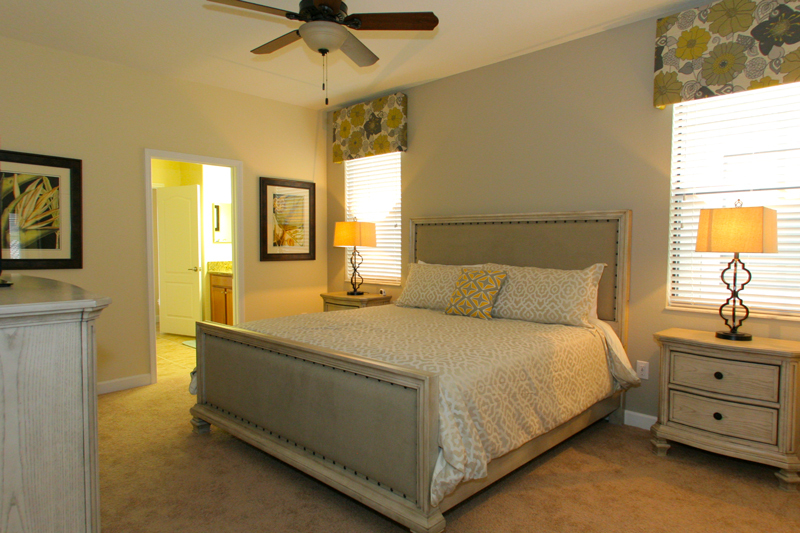 The overall space and bedroom locations fit our needs perfectly. Two ladies have physical limitations that made the master bedrooms downstairs perfect for them. We loved that the upstairs had plenty of bedrooms along with 2 Jack & Jill bathrooms. My son and husband joined us on the last evening. My son was able to have the adjoining room with the Jack & Jill. Our only issue was that the Pool Heater & Jacuzzi Heat were not working. We submitted a notice and it was quickly repaired. One note... we couldn't figure out how some of the light switches worked or didn't turn on the lights but there were plenty of lights with bedside lights that it wasn't a major issue. Other than these few issues, this would have been a 5-stars review for each category! Visited in October 2018 with Family for two weeks . Property was very secure and well located with loads of room for everyone . The pool and spa were very popular with the grand children as well as the pool table. Had a couple of small issues which were taken care of immediately by the staff at Florida Spirit and a special shout out to Sandy who was amazing. Unfortunatey on a couple of occasions the neighbours obviously did not read their rule book and partied loud all night which kept the children awake . No reflection on the property for this as instructions were provided on how to deal with this which I did not do. Overall a great vacation with the grand children looking for a reset button on the last day . My Disney Retreat Vacation Experiance. myself and my family really enjoyed our stay. we are planning another trip sometime next year and for the year 2020. We truly enjoyed the oasis water park!!!! The house was beautiful I must say. Only thing we didn't like was the cook wear its dull and old needs to be replace with all new pots and pans. The sealing fan lights didn't work in the upstairs lounge area it would have been nice to have way more light. MY family loved there rooms we were happy with the amount of space we had. The kids loved the pool area as well as myself and the other adults. we look forward to vacationing again at this location in a different home. The house and community were perfect for our stay. It's about a 15-20 min drive to Disney. We had 6 kids ages 2-5-12-13-17-18 and everyone had a great time. The house is stocked with all kitchen appliances. You do have to buy pretty much anything you need though, including toilet paper and paper towels (one roll is provided in each bathroom on arrival). All items previous guests may have left are taken. The W/D came in handy as towels needed to be washed, etc. The clubhouse was fantastic and we spent a couple of days just hanging out at the pool in between our Disney excursions. The kids also loved the pool and hot tub at the house. The beds were comfortable as well. The nearest Publix is about 10 minutes away, so it would have been nice to have something a little closer, as we needed groceries pretty often (you don't want to buy too much in the beginning, not knowing if you will actually use it all). I would stay here again though. It was really nice. 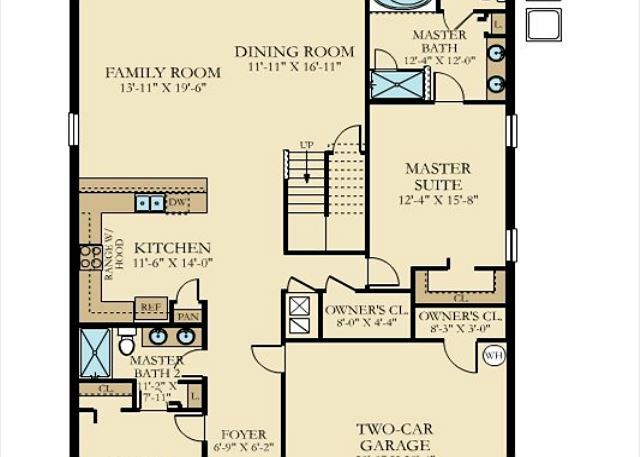 Well laid out home with plenty of space for multiple families. Parking can be tight, so check with company to see if street parking is OK. I saw many cars on the street but I got the impression that it wasn't allowed. Location is great for Disney but Universal is a little further away. Community pool and club house is top-notch. Communication with rental agency is great if you're using the App. I highly recommend that. Make sure you invite your other guests using the app, so they'll use it too. Shopping and groceries are a little hike (3 miles), so make sure you stock up on everything you need while you're out. I would definitely rent from this company again.